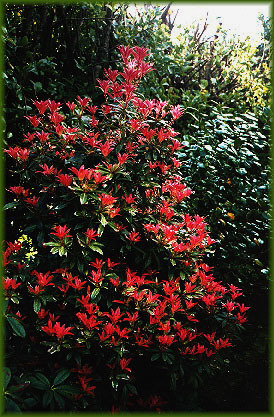 The glorious foliage of Pieris Forrestii. Some time has passed since this photo was taken, and now it has grown taller than the hedge. 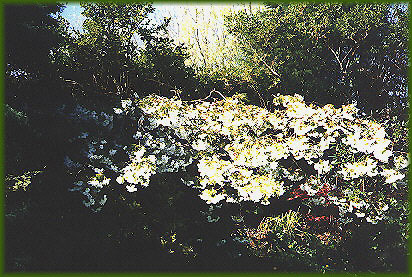 It also gives splendid array if delicate white flowers. 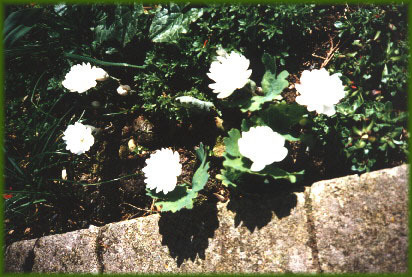 Sanguinaria Canadensis, the Canadian Bloodroot is rarely seen. The Japanese cherry, here "Shirotae", is as beautiful as its name, so I am told, suggests.